A simple song of wonder, Twinkle Twinkle, is the easiest lullaby to sing to a sleepy child. 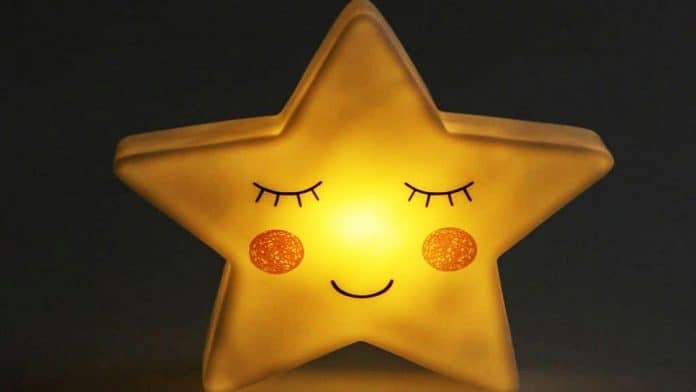 Here are the full lullaby lyrics to Twinkle Twinkle Little Star, though most parents probably do not know all of the original nursery rhyme verses. And no, the tune was not composed by Mozart, though he did love the song, and had something to do with its popularity! Click to download a black and white pdf printable of Twinkle Twinkle Little Star Lyrics. The tune for the lullaby is based on the French nursery rhyme, Ah, vous dirai-je, Maman. Who Wrote the Poem Twinkle Twinkle Little Star? 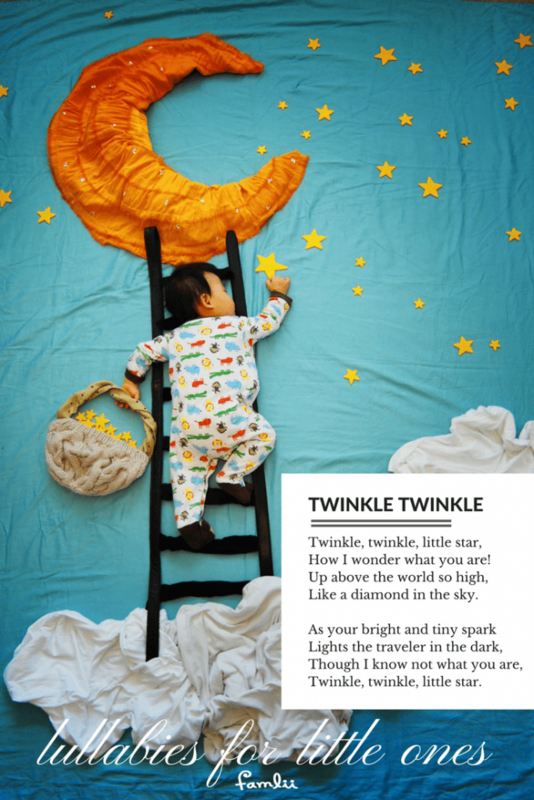 The poem, Twinkle Twinkle Little Star, was written in 1806 by English sisters, Ann and Jane Taylor, and originally published in the English book, Original Poems for Infant Minds and Rhymes for the Nursery. Did Mozart Compose the Music for Twinkle Twinkle? Mozart did not compose the famous melody, though he did write a famous piano composition based on the tune, even before the poem was ever written. Originally the poem was set to the French melody of Ah, vous dirai-je, Maman, which originated in the 1740s by an unknown composer. In 1781 or 1782, over two decades before the poem was written, Wolfgang Amaedus Mozart composed his Twelve Variations on “Ah vous dirai-je, Maman.” This popularized the melody, and is likely one of the reasons the poem was eventually set to the tune. Fun Fact: Twinkle Twinkle, Baa Baa Black Sheep, and the famous Alphabet Song, are ALL sung to the same melody of Ah, vous dirai-je, Maman. The melody is likely the most popular children’s song worldwide. What Was the Original Nursery Rhyme Ah, vous dirai-je, Maman? The original nursery rhyme, Ah, vous dirai-je, Maman, is quite delightful. It tells of a child who would rather enjoy sweets, than reason like an adult. Are worth more than reasoning.